Bingley hosts an annual agricultural show, one of the biggest one day shows in the North of England. 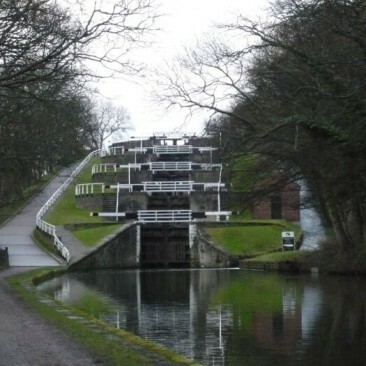 There is an annual Canal Festival, being the home of the famous 5 rise locks, and Bingley Walkers are Welcome organise an annual walking festival. The popular Bingley Music Live - a 3 day music festival is held annually in Myrtle Park. Prince of Wales Park and the St Ives Estate are other well know local beauty spots providing plenty of walking opportunities. The town has two secondary schools including Bingley Grammar, founded in the 16th Century, where the renowned astrophysicist Sir Fred Hoyle was educated.